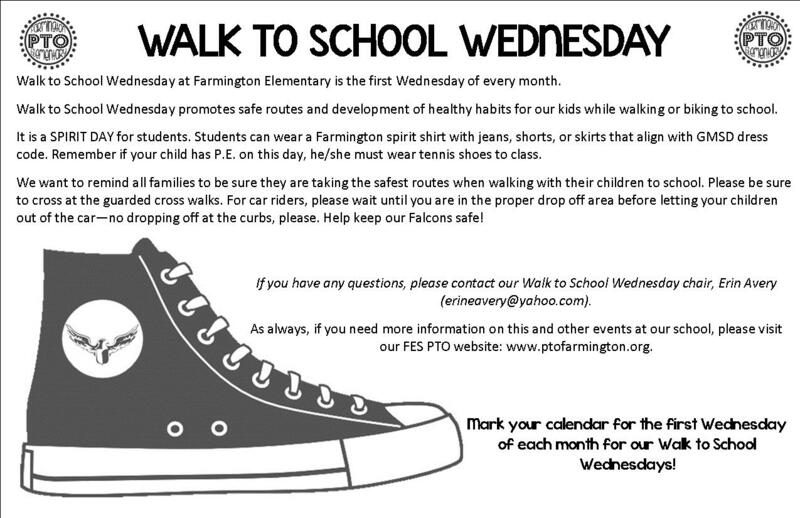 Walk to School Wednesday is an FES event which celebrates student wellness and environmental friendliness. If you live too far, your child may walk from the park or down the street! All students who participate get to dress in Spirit Day attire, and student registration begins at 8:00 a.m.
Walk-to-School Wednesday take place from September through May (though not in January).